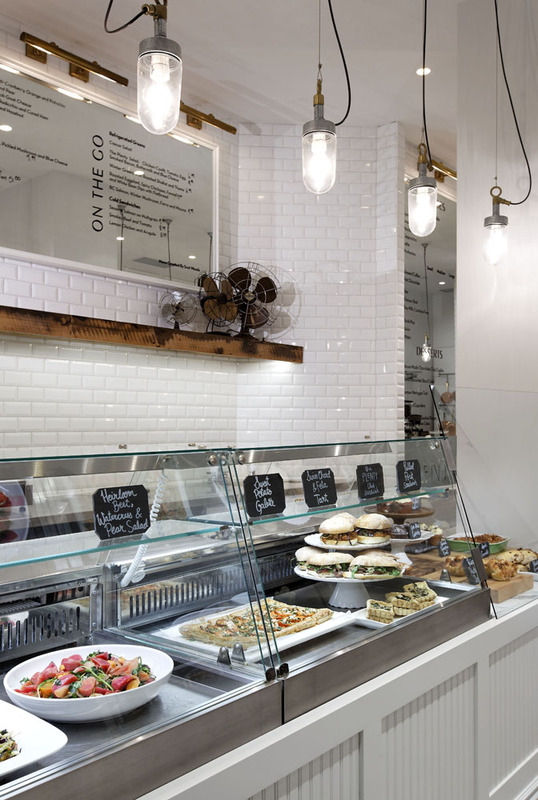 Located downtown, this charming European café is small but busy. 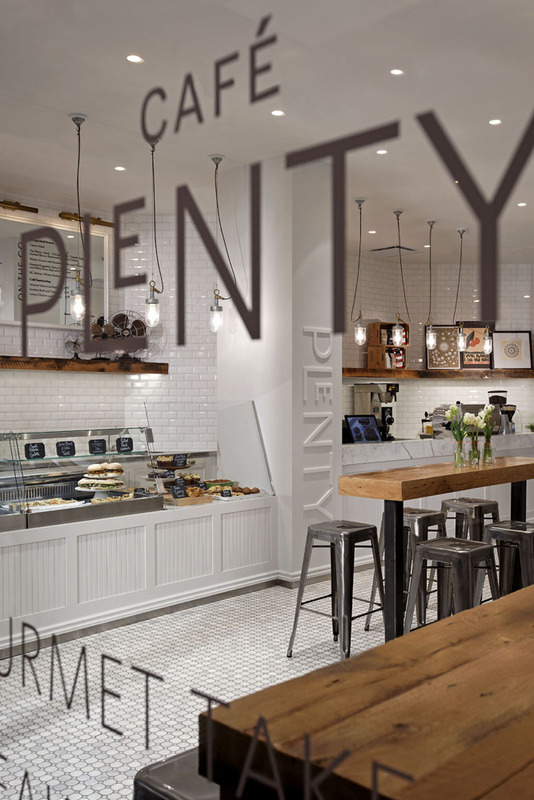 Café Plenty’s white design creates the illusion of space, and focuses your attention to the textual elements with details such as: marble floors, shellacked wooden counters, galvanized stools, brass pots and reclaimed timbers. 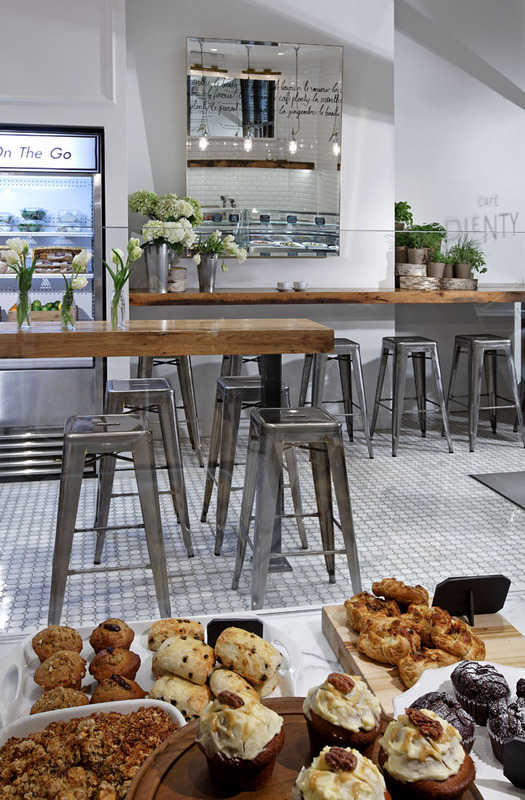 The effect is a familiar country kitchen with a touch of glamour to complement its urban environment.